In our previous post, we gave an overview of the new DIFC Courts initiative of introducing e-bundling. But what are the benefits to lawyers, and especially the associates and paralegals who largely bear the burden of trial preparation? A major reason e-bundling has proved so popular is that there is something in it for everyone – not only judges and court staff, but lawyers, paralegals and even clients. For lawyers, a digital court platform primarily takes away cost, risk and the stress of preparation for trial. The system allows users to load documents easily, either individually, or by importing hundreds or thousands of documents at once from a pre-prepared file. The system can even be integrated to legal case management systems to allow documents to be sent directly to the evidence bundle. The new system has been tailored by CaseLines to meet the specific needs of DIFC Courts and its users. Easy-to-learn functionality will ensure that paralegals and associates don’t get lost in system technicalities, saving precious effort and time. Building a bundle within this digital interface allows a user to move documents around between sections, change the Bates numbering settings and add late arriving documents without renumbering the bundle. Indexing and pagination happens automatically, every document is hyperlinked from the index and the whole evidence bundle is fully searchable. 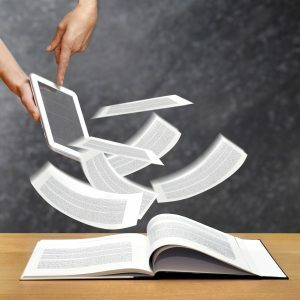 For everyone out there who has ever struggled with a broken photocopier minutes before the courier arrives (and that is all of us) the benefits of going paperless are obvious. Another reason why law firms find e-bundling so useful is the ease of working on the evidence bundle even before it is complete. Whilst a colleague is working on witness statements, making notes and sharing with other team members, another person can simultaneously load exhibits. Even if documents are subsequently moved to another location on the system, notes and hyperlinks still stick with the correct document. The great appeal of the DIFC Courts is their focus on a global outlook when introducing new services for court users. Many of the law firms operating within DIFC are multi-national and in some instances, lawyers will not be based in Dubai until a trial starts. In fact, many will be part of an international litigation team operating from various global offices. For them, sharing notes amongst team members, even colleagues in different firms, and accessing the evidence bundle remotely from any location, will make a difference to trial preparation. *DIFC Courts will be holding a breakfast seminar on April 10 (8:30 am – 10:00 am at the DRA offices) to introduce the new e-bundling service. CaseLines will also be in attendance to explain the training options available to law firms and their staff.